Our research reveals the impact that young museum-goers are having on cultural institutions. Museums are becoming age conscious. Like other institutions trying to catch up and engage with new technology, they’re figuring out how to adapt to large numbers of young patrons who expect a visit to the museum to be as personalized and self-curated as everything else in their digital-driven lives. 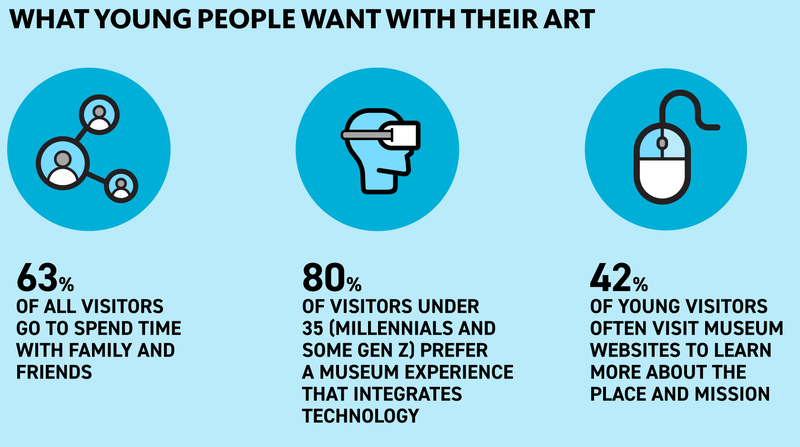 According to our Museums Experience IndexSM report, visitors under 35 (Millennials and some Gen Z) visit a museum’s website or social media before going to the museum itself at a much higher rate than Boomers. And when they get there, they expect things like access to charging stations, AR/VR experiences woven into exhibits, and apps that reward their previsit research while enhancing their experience of the objects on display. In response, museums are striving to provide that multifaceted experience, while balancing the desires of many longtime museum-goers who enjoy a more reflective experience. It’s all about providing choice — layered experiences that allow people to shape their own visit. That extends into the social realm — more seating where people can hang out with friends (or self-reflect), branded moments for taking photos to share on social media, and multipurpose spaces for experiential programming. The result is museums are re-scripting their roles, becoming more interactive and self-directed, more community focused, more welcoming, and more flexible. 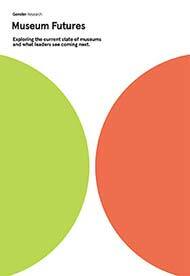 Exploring the current state of museums and what leaders see coming next. With a passion for all aspects of culture and the arts, Bevin leads Gensler’s Civic & Culture practice. 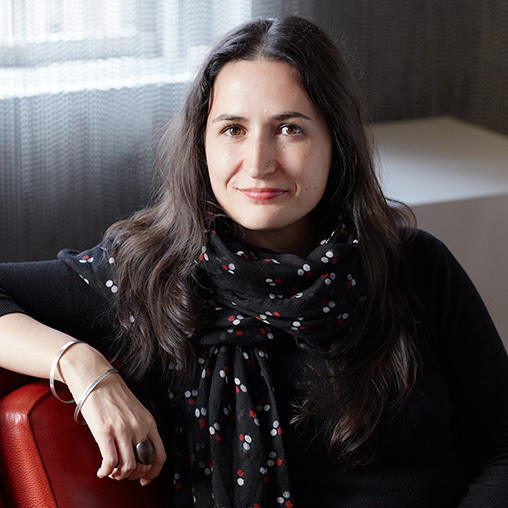 In her 19 years of experience, she has worked with a range of cultural and not-for-profit institutions including the New York Public Library, the New Museum of Contemporary Art, Dia:Beacon, the Grace Institute, and the Ford Foundation.